There’s nothing sweeter than seeing a new dad bond with his new baby. Add a Lalabu Dad Shirt to the scenario and your heart will go into permanent swoon-mode. 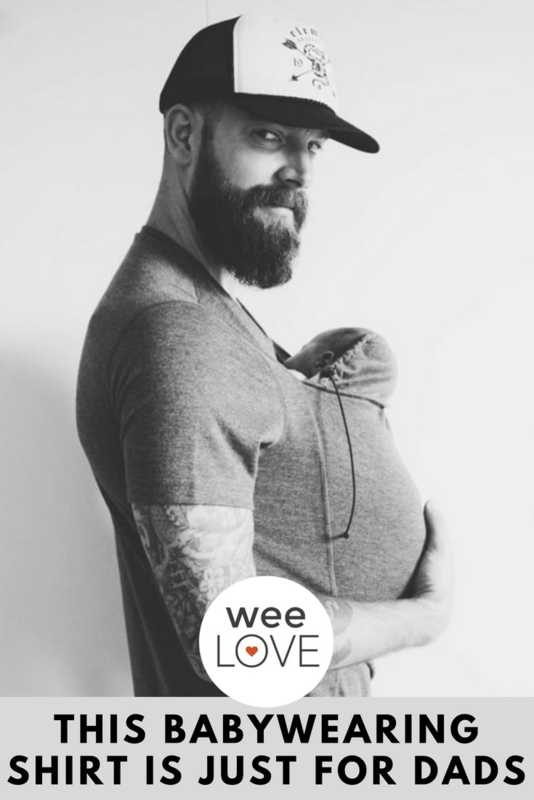 The first babywearing shirt designed just for dads, this super comfy, sporty v-neck features a simple, supportive pouch that dad can easily slide his little one into for cuddles around the house or on-the-go. There are no complicated straps, clips, or wraps. Just pull on the t-shirt and put in the baby—kangaroo style. Made in the USA, the design features an adjustable head support/pouch extender that grows with your kiddo as well as a breathable mesh panel (though some dads note that it can still get a little hot when wearing the shirt plus baby). 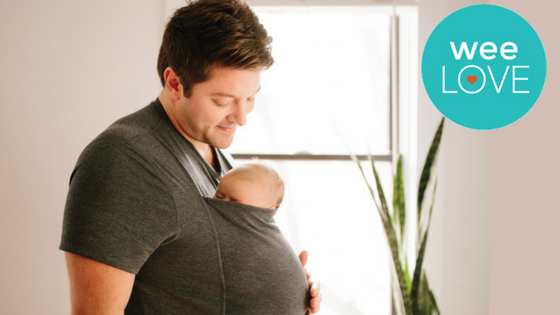 The pouch holds babies up to 15 pounds, so it’ll be a go-to during those first few months. Chances are, you guys are wearing the same clothes all the time anyways in the haze of new parenting…why not make the most of it? Another perk? While dad has the baby tucked safely in his shirt… this frees up his hands to make mom lunch and wash some dishes. A win-win for all! They also donate 2% of profits to help families!